Just to bring you back to Part 1 of my Women Leading Change thoughts, whilst clearly as stated it sounds good but what is the reality. The unconscious is becoming more conscious – progress is slow and there still seems a lot more talk than action. That’s not a criticism of the people in the room nor the organisations they represent, as everyone acknowledged “it’s a journey”. For a minute let’s forget about diversity and inclusion in our businesses, I know this sounds off topic, but stay with me. For the sake of better financial performance or even survival we need to make a change, consider how fast could we execute the changes needed? As a business owner, I have come to realise that I must simply move quicker than everyone else and especially around the BIG issues of diversity and inclusion. I left the Women Leading Change conference by Campaign thinking about what I can do to drive change quicker in my organisation and it led me back to our International Women’s Day and the pledges many of us made. Were they just good content for social media or are we holding ourselves accountable to what we pledged? I realised it’s about what I do every day, and how I live and breathe it that matters most. I pledged to influence other’s beliefs and actions, which means I will supportively call out inappropriate behaviour, campaign for equality in meaningful ways, lead by example via inclusive actions, and actively contribute to changing the status quo. I think the one that resonates loudly with me is calling out inappropriate behaviour, and making sure we create a work environment where people feel safe to call out inappropriate behaviour and feel comfortable that action will be taken. I believe this is something that we can all do, but it is driven from the leaders within the business. A great quote was shared at the conference: “The standard that you walk past is the standard you accept.” General David Morrison stated this during an investigation into bullying and harassment in the Australian military. So, a good question for all of us is what standards are we walking past and accepting, because that’s our reality? 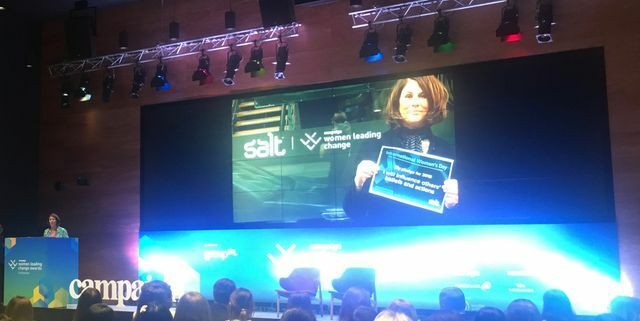 Part 1 of @JacquiBarratt's blog from the Women Leading Change conference. Thank you for inviting us Campaign Asia-Pacific!